Though not always required by law or for some strong legal reason, the vast majority of physician employment is pursuant to a written employment agreement. Typically, the agreement is drafted and provided by the employer. 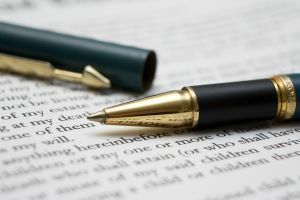 If there is a written employment agreement, the agreement will most often state a term, which is often cast as an “initial” term of one to five years, followed by possible “renewal” terms, typically of one year (though the parties can agree to other renewal terms). The renewal terms are often automatic unless one party provides written notice to the other of an intention not to renew, provided within a fixed window of days prior to expiration of the existing term. The notice period is intended to give the other party time to plan accordingly. Other contracts may, by omitting automatic renewal provisions, allow for expiration of the contract as one way for the relationship to end. Such contracts may provide for an opportunity to renew by mutual agreement. The termination provisions of an employment agreement can be critical under some circumstances. Most physician employment agreements will distinguish termination scenarios according to (a) who terminates and (b) whether termination is with “cause” or without cause, defining cause based on particular events or facts articulated in the agreement. These provisions can be critical to both the medical practice (or hospital) and the physician, potentially impacting responsibility for (or right to receive) compensation, who pays for tail insurance, and the triggering of some restrictive covenants. From the employer’s stand point, as much breadth as possible is desired in defining cause. There is no real downside for the employer to having latitude to assert that “cause” for termination exists, if there is a need to end the relationship. From the physician’s stand point, whether termination occurs “for cause” can be very significant, however, with potentially significant adverse consequences. Some physician employment agreements will provide, for example, that if the physician is terminated for cause the physician must bear the financial responsibility to purchase and pay for tail insurance where the professional malpractice policy in place is a claims-made policy. The premium for tail coverage can be an unpleasant financial burden for a physician who has recently lost employment. Further, future employers, insurers and hospitals may require an explanation if the physician answers “yes” when asked on an application whether he/she has ever been terminated for “cause.” For this reason, how the physician employment agreement defines “cause” matters, especially to the doctor. From the physician’s standpoint, it is very important, that the definition and examples of “cause” be objective and clear and allow for an opportunity to “cure” where an infraction of any type could be based on a unilateral, subjective assessment of conduct by the employer. There are many details regarding termination of physician employment that can significantly affect the interests of the employer and the physician alike. If you have questions about this blog post, you may contact us today at our Augusta or Atlanta office or by email to info@hamillittle.com.